Each month, Nickel Plate Arts presents a showcase of artwork by a local artist or art group inside our Stephenson House Gallery. For the month of September, local artists Kris Gruppe and Darlene Patterson will return to Nickel Plate Arts as veteran showcase artists in their exhibit, "Shifts and Changes in Clay." The title hints at the show's purpose, which is to represent recent changes in both artists' work. Kris, a longtime ceramics artist, has recently begun an exploration of glass and metal work. New pieces include elements like beads and white clay mishima. For Darlene, her work in ceramics continues, but her newest works are experiments in new firing techniques. She recently finished a selection of soda-fired pieces at Arrowmont School of Arts and Crafts in Gatlinburg, Tennessee. Darlene is currently attempting to recreate this process at home by converting an old electric kiln to a soda/wood-firing kiln, which will allow her to explore new possibilities. 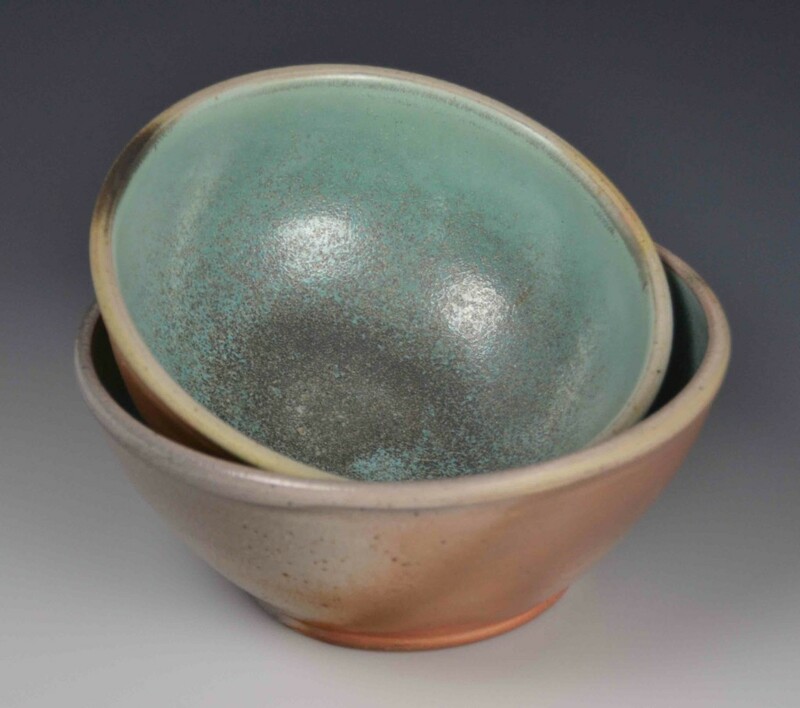 Local arts patrons and collectors of fine ceramic art should plan to attend Nickel Plate Art's First Friday on September 7th from 6-9pm, where "Shifts and Changes in Clay" can be viewed alongside our paid artist member show, "A Time to Re-Member," in the Judge Stone House gallery. After First Friday, Kris and Darlene's work can be seen during our normal gallery hours: Wednesday - Friday from noon - 5pm; Saturday from 10am - 5pm. Mark your calendars to see some of the best glasswork and pottery in Hamilton County!